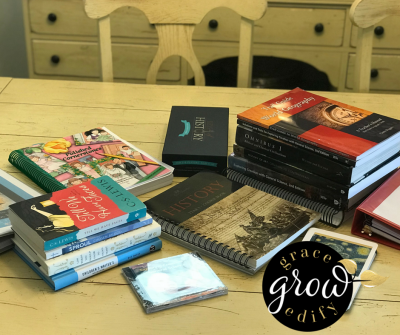 There are few things as exciting for this homeschool mom than planning for a new homeschool year. 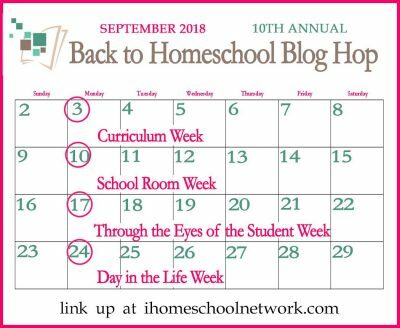 I honestly enjoy choosing curriculum, creating routines, and planning our new homeschool year out. 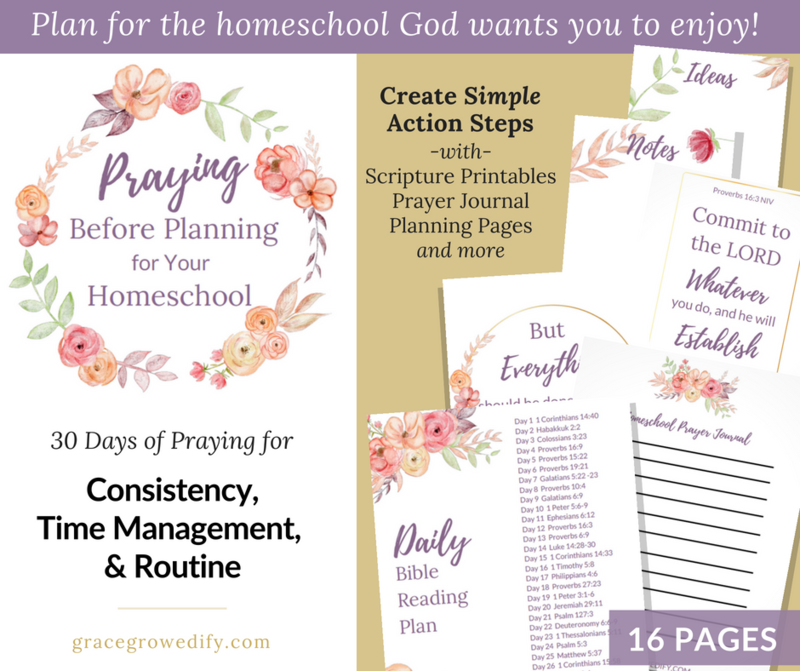 I enjoy it so much that I work as a homeschool consultant so that I can help others prepare, choose curriculum, and find a rhythm that their own homeschool families can flourish in. 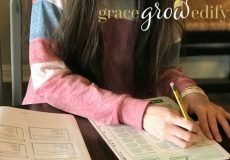 I have been homeschooling since my daughter was in pre-k and we are now in our 10th year. My how our homeschool has evolved. But that is one of the beautiful things about homeschooling; you can adjust according to each season in life. 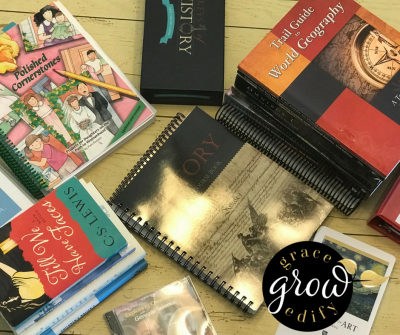 When I first began homeschooling years ago I started with a box curriculum, it served it’s purpose for us for a few years, and I later gained the confidence and know-how to begin planning on my own. 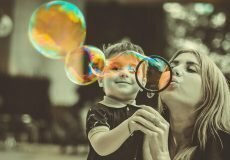 When I had two babies back to back, our homeschool had to become very relaxed for us to manage homeschool and life. Now my two youngest are starting preschool, and it’s important for my oldest to be independent in much of her homeschooling. 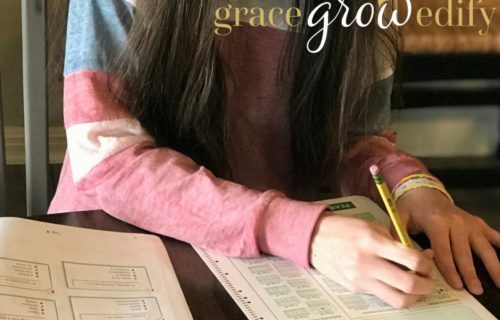 No matter what stage we are in our homeschool adjusts, and I have learned to love the flexibility that homeschooling provides. This year my oldest will be homeschooling 8th grade and my youngest two will both be in preschool. We have made some changes that I am super excited about too. Let’s get to it. Math Mr.D Pre-Algebra• I have mentioned before that one of my least favorite subjects to teach is math. My daughter struggles with math, and I don’t enjoy teaching it, so a simple solution for us was Mr. D. It is a virtual real-time math class. So my daughter will log in once a week for a lesson from an actual math teacher, and they also offer a weekly extra help class (similar to tutoring) where she can attend again if she is having difficulty with the lessons. For us, this is a perfect choice. 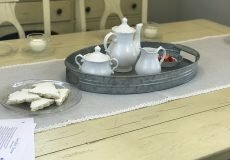 Check out my experience with Mr. D when we got to try them out for a bit. Science-Apologia General Science • Over the years we have used Apologia science for most of our journey. We tried a couple of other options, but we always come back to Apologia. We love that it is science from a creation perspective. We also enjoy the convenience of the companion audio CDs too; we can listen to a lesson on the go if needed. 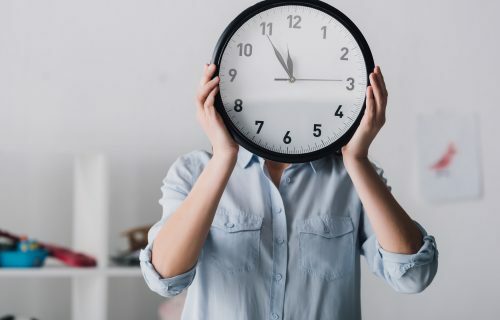 We like to use our time as best as possible and listen to a lesson while driving to a dentist appointment or when running an errand that couldn’t wait. 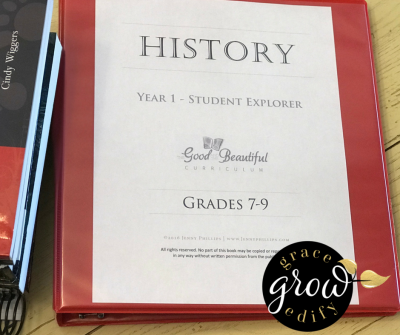 History The Good and The Beautiful Year 1 • We have never found a history curriculum thus far that we love. 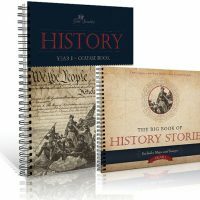 I have tried quite a few different programs, and this year we are going to take a simpler approach to history through literature. 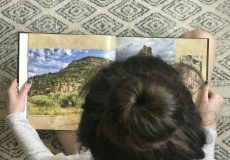 I am also excited to use The Good and the Beautiful History because we can cycle back through it with my boys, read aloud together, and enjoy history as a family. My preschoolers won’t follow along until 1st grade, but any subject that we can do family style is super appealing. Veritas Omnibus I • Another staple for us has been online courses with Veritas through the years. We have enjoyed their self-paced online Bible courses previously and decided to continue this year with Omnibus. 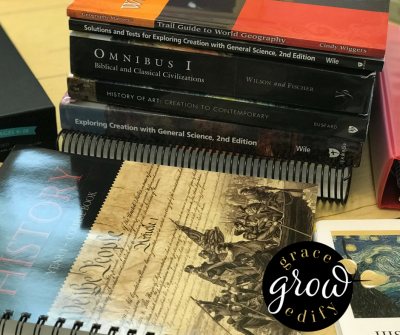 This course covers quite a bit; history, humanities, theology, Bible, writing, and has a fantastic list of books we will read over the year. 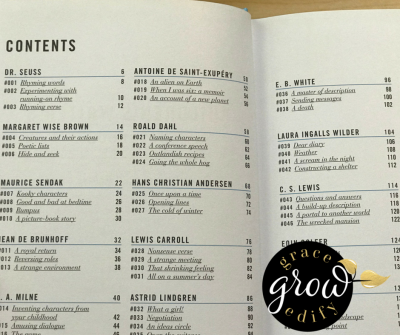 The book list includes books from C.S. Lewis, R.C. 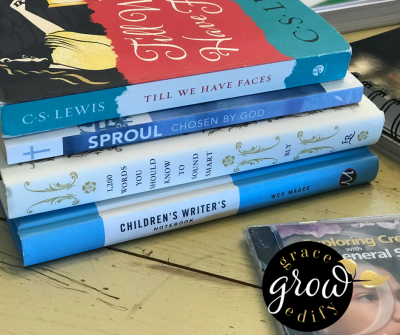 Sproul, and many more influential Christian authors. Geography Trail Guide to Learning • I am using this as a guideline for simple world geography drills a few times a week. I can also save it and use with my boys as a more extensive option for geography in the future. But to solidify some geographic facts, labeling, and mapping drills this will work great. I have learned over the years to use the curriculum to my advantage. 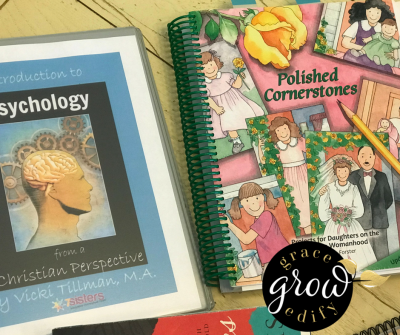 I can use the parts that I need, and I don’t fret over not completing the book or finishing each “lesson.” I am comfortable enough to customize the curriculum to my needs, this is also something I wish I would have learned earlier on in our homeschooling journey. And something I share with my clients when we work together. I believe that the curriculum works for you, you are the employer of the curriculum – not the other way around. 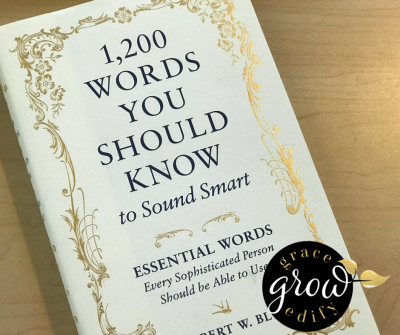 Vocabulary • We are using the book 1200 Words You Should Know to Sound Smart as a guide this year. We list a word, and it’s definition every other day or so on our large chalkboard in the kitchen. That way we are all learning a new word together as a family, and we can work it into conversation together and have fun with it. 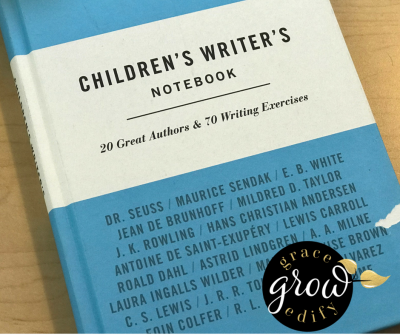 Writing • This year my daughter will be writing papers for her Omnibus I course, but we are also adding creative writing exercises a few times each week from Children’s Writers Notebook. As a writer, I thought this would be a fun exercise to do with her. 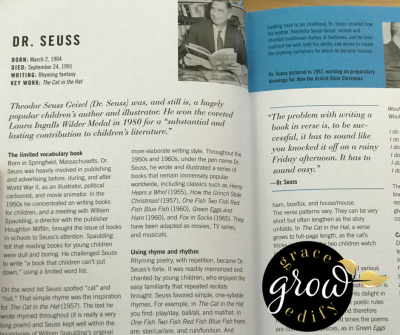 This book also has biographies about some very well known authors of children’s books. I thought this is an excellent inspiration to write creatively while learning about the authors. The exercises are engaging too, such fun ideas and specific topics to run with. 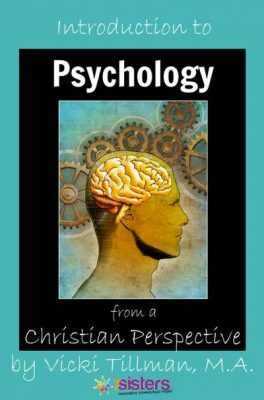 Introduction to Psychology from a Christian Perspective • Another reason I adore homeschooling is that you can foster particular interests of your child. 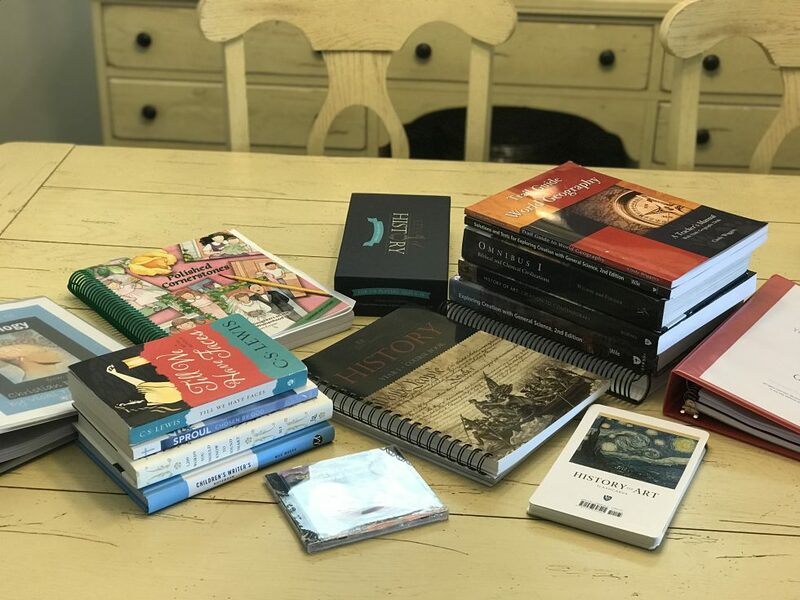 My daughter started checking out books from the library about obsessive compulsive disorder, hoarding, and other neurotic disorders last year. 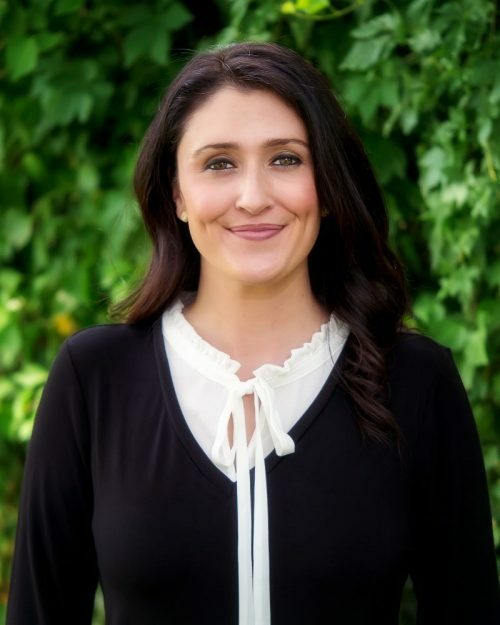 She is extremely interested in causes of these types of disorders and has expressed the possibly going to college for clinical psychology. 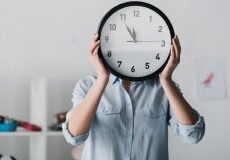 We don’t have to wait to get started with this, the beauty of homeschooling is being able to dabble in all types of topics that we find fascinating. We found this course at 7 Sisters Homeschool as a high school elective. History of Art – Creation to Contemporary • We will be doing one lesson per week on art history. 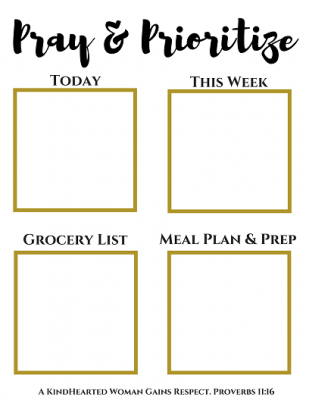 Since we homeschool year round, I am spreading this one out, and there are additional activities that we can expand on if it is a piece we like or something we find of particular interest. Art Masterpiece Society Studio • I can not express what this program has done for our homeschool. We will continue to use Masterpiece Society Studio for learning about influential artists in history, drawing, acrylics, watercolors, and so many other creative mediums. This one program has so much to offer. 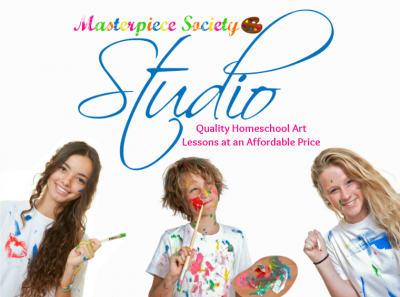 I am not an artistic parent, and Masterpiece Studio is like having an art teacher give private lessons in our homeschool each day. It is awesome! Bible • Omnibus I can be counted as a full Bible curriculum, but we will also be using Doorposts Polished Cornerstones a couple of times a week together 1:1. It is designed for daughters on the path to womanhood. We have used it off and on for the past few years and still have so much to cover. It is packed full of resources, activities, and has varied levels for all ages. It also provides special bonding time and faith strengthening between mothers and daughters. Nature Study • I can not express how much I love peaceful learning. 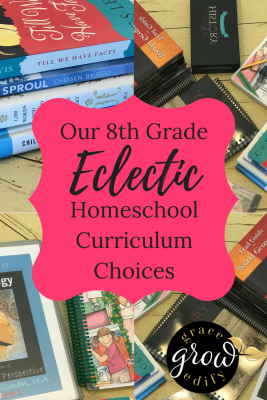 We are eclectic homeschoolers and enjoy the freedom of pulling resources that appeal to our interests from all over. 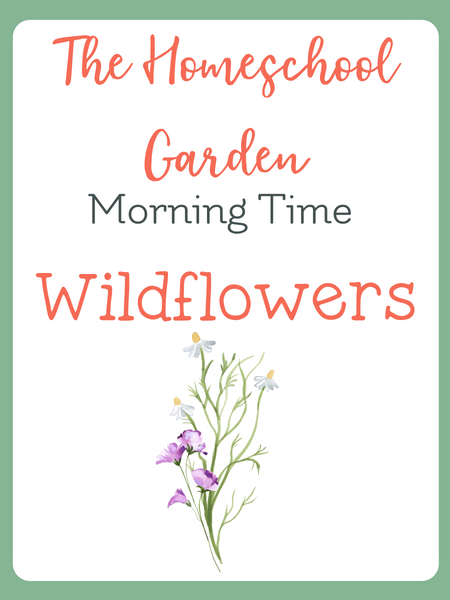 This Morning Time Wild Flower Study from Everyday Graces is a 4 week study that incorporates artists, composers, poetry, tea time and more. The best part…it is all planned out for you. This is another one that I am drawn to because the entire family can enjoy it together. It was created with multilevel copy work for all ages. We are excited to ease into our school day with such rich and beautiful studies. So there you have it! That is what we will be up to this year. 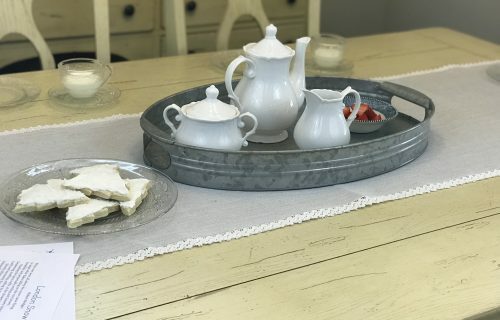 Of course, we will also be including the natural learning of life skills and pursuing student-led interests through the year like sewing, baking, and good old-fashioned fun with our local homeschool group.